In The Colonel Who Would Not Repent: The Bangladesh War and its Unquiet Legacy, Salil Tripathi revisits Bangladesh’s liberation war. As a young journalist, Tripathi encountered Farooq Rahman, the unrepentant colonel who played a pivotal role in the assassination of Bangladesh’s revered independence leader Sheikh Mujibur Rahman, but who was granted indemnity in the immediate aftermath. Farooq Rahman lived freely in Dhaka, even running for president, before his eventual execution by a war crimes tribunal in 2010. How, asks Tripathi, could Bangladesh’s independence leader be revered while his killers walked free? Why did it take so long to establish a war crimes tribunal? And how might Bangladesh ‘put its blood-soaked past behind without condoning the guilty’? Review by Paul Gilbert. If you are interested in this book review, Martin Woolacott will be in conversation with Salil Tripathi as part of a South Asia Centre book discussion at 6.30pm on Monday 7 November 2016. The Colonel Who Would Not Repent: The Bangladesh War and its Unquiet Legacy. Salil Tripathi. Yale University Press. 2016. 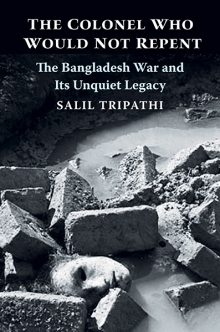 Notwithstanding the recent publication of Gary Bass’s The Blood Telegram or Nayanika Mookherjee’s The Spectral Wound, the story of the 1971 war through which Bangladesh (previously East Pakistan) achieved its independence has, Salil Tripathi notes, ‘remained largely untold’ (vii). This, of course, is only partially true. The story of 1971 is persistently told, re-told, remembered and memorialised within Bangladesh. The shohid minar (martyrs’ memorials) to be found in towns around the country recall those killed in the Language Movement of 1952, when police opened fire on students and activists demanding that Bengali be recognised, alongside Urdu, as an official language of Pakistan. Martyred Intellectuals Day is observed on 14 December – the date on which, in 1971, dozens of academics and professionals were dragged from their homes and killed, just two days before the Pakistan army surrendered in Dhaka. On 15 August, a national day of mourning (Jotiya Shok Dibosh) is held to mark Sheikh Mujibur Rahman’s assassination in 1975. The problem, perhaps, is not so much that the story of 1971 goes untold, but that the same few stories are most frequently told. Tripathi’s book, The Colonel Who Would Not Repent: The Bangladesh War and its Unquiet Legacy, also revisits a number of iconic figures and moments from 1971 whose biographies long ago became public property. Indeed, a number of the figures whose stories Tripathi tells also make an appearance in Sarmila Bose’s rightly controversial book Dead Reckoning: Memories of the 1971 Bangladesh War (2011). There is not much else to unite Bose and Tripathi, however. For Bose, the Bengali ‘uprising’ was ‘the violent xenophobic expression of a narrow ethno-linguistic “Bengali” nationalism’ (Bose, 26). But for Tripathi, the actions of Dhirendranath Datta – the Hindu politician who chose to remain in East Pakistan after partition before campaigning for the recognition of Bengali as an official language (and who figures in both books) – can only be understood in light of ‘the elemental hold of Bengali nationalism, where the love of the language and the culture it represents is larger than spiritual values shared with people of the same faith’ (38-39). Both authors emphasise the need for a ‘thorough, unbiased study’ (315) and ‘well-researched […] non-partisan analysis’ (Bose, 5-6) of 1971. Neither, it seems, would identify such a study in the others’ work. But they are, perhaps, after different kinds of rigour. In her research, Bose clearly found the process of extracting ‘facts’ from ethically-charged acts of remembering to be a frustrating one: ‘straight questions about a person or event often produced answers that had nothing to do with the question’ (Bose, 7). (But see here for an overview of the various criticisms of Bose’s work in light of ‘sloppy research, faulty methodology, absent framing, and partisan interviews’.) Tripathi, however, might well side with Hayden White who argues that ‘[t]he conjuring of the past requires art as well as information’. Throughout The Colonel Who Would Not Repent, interviews and archival work are interwoven with references to Bengali poetry, the Baul tradition of Lalon Fakir, the novels of Tahmima Anam and Shaheen Akhtar, the films of Satyajit Ray and the poetry of Nazrul Islam, Rabindranath Tagore and Tarfia Faizullah. One man, one woman; one Hindu, one Muslim; they trusted one another, respected each other’s identity and faith. Neither was rich financially, but in a country torn apart by vicious bloodshed, Ershad Ali gave the most precious gift – of life – to an infant who would not have survived. More than this though, for Tripathi ‘they personified the spirit of this land, about which Nazrul and Tagore wrote poems, whose spirit Lalon captured in his songs, which Satyajit Ray and Ritwik Ghatak there, and Tareque and Catherine Masud here, had filmed, and through which rivers from the mighty Himalaya flowed, blending in the Bay of Bengal. They made this land golden Bengal’ (335). Tripathi joins those like Naeem Mohaiemen who have long worked against the ‘hegemonic and exclusionary nationalisms’ that Bose makes her questionable foil in Dead Reckoning. He is attentive to the non-inclusion of Chakma people in the 1952 Language Movement, the ongoing appropriation of Chakma lands in the wake of the 1996 Chittagong Hill Tracts Peace Accords and the continued consignment to camps of Biharis who happened to ‘speak the wrong language’ in 1971 (292). He is attentive to the devastating ironies of 1971, such as Datta’s house being reclaimed after the war as ‘enemy property’ (287). Tripathi also seems concerned about the influence of Wahhabi Islam on migrant workers returning from the Gulf, and the rising influence of Jamaat-e-Islami. He speculates with his interviewees that the war crimes tribunal that handed death sentences to Colonel Farooq Rahman (and several Jamaat leaders accused of collaboration with Pakistan during 1971) may well have been ‘set up as an elaborate ruse to eliminate the Jamaat as a political force’ and shore up Sheikh Hasina Wazed’s position (311). Ultimately, though, Tripathi is sceptical of the healing power of Bangladesh’s war tribunals. Running through The Colonel Who Would Not Repent is the conviction that ‘it is by turning to the tolerant strains of Islam, the inclusive and syncretic aspects of Hinduism, through the music of the Bauls, and the enlightened poetry of Tagore and Nazrul that Bangladesh can redeem the pledge and make Bangladesh truly Sonar Bangla [Golden Bengal]’ (286). At times it appears that Tripathi shares in the view taken by Mofidul Hoque, founder of the Liberation War Museum in Dhaka, that ‘Pakistan was Ben Anderson’s imagined community but Bangladesh was always a real nation’ (303). What is missing, perhaps, is the manner in which these ‘symbols of Bangali nationalism’ are being appropriated by Jamaat and other ‘new Islamists’ in novels and television serials that allow for the ‘configuration of new cultural aspirations for Bangali Muslims’, away from Tripathi’s secular-syncretic ideal. Equally, the new social and economic distinctions that have emerged as Bangladeshis struggle for (or profit from) transnational connection are conspicuous by their absence from Tripathi’s image of a timeless and golden Bengal/Bangladesh. As David Lewis recently observed, internationally available literature on Bangladesh has until recently been filtered through a fairly narrow ‘development’ lens. Tripathi’s lyrical history of 1971 and its legacy is thus a welcome addition to the burgeoning body of work addressing Bangladesh’s independence struggle and its consequences for contemporary politics of nationhood. In addition, the fact that The Colonel Who Would not Repent deals with so many of the same cases, narratives and individuals that appear in Dead Reckoning makes it a useful companion – and corrective – to Bose’s markedly hostile account of the Bangladesh war. 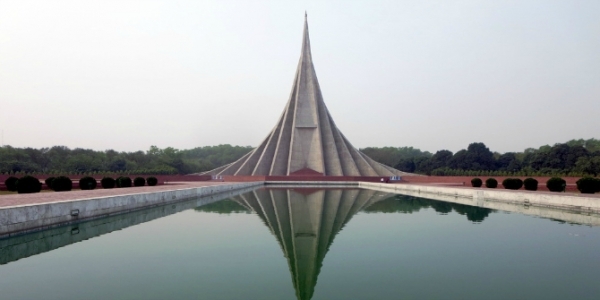 But equally, Tripathi’s focus on iconic individuals whose biographies have been absorbed into the history of the nation itself means that, for many Bangladeshis, the story of 1971 and its legacy still remains largely untold. This post originally appeared on LSE Review of Books, and has been edited to remove an incorrect reference to Salil Tripathi belonging to Bangladesh’s secular elite. It gives the views of the author, and not the position of the South Asia @ LSE blog, nor of the London School of Economics. Please read our comments policy before posting. Paul Gilbert recently completed a PhD in Social Anthropology at the University of Sussex. He is a Lecturer at the University of Brighton where he works in the School of Environment & Technology and the Centre for Research in Spatial, Environmental & Cultural Politics. Read more by Paul Gilbert.